We’re a small team with a huge job to do, and we couldn’t carry out our work without our amazing volunteers. Our volunteers often tell us that they have been touched by breast cancer in some way, whether it’s personally or through a friend or loved one with the disease. This same thing that motivates us is what motivates them to get involved. Volunteering offers a wonderful opportunity to learn new skills, meet new people and support a worthy cause while having fun and making a difference. 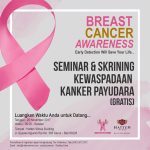 Take a look at the opportunities available, and know that we hugely appreciate you willingness to lend a hand to Balinese affected by breast cancer. We appreciate your interest in volunteering for Bali Pink Ribbon. 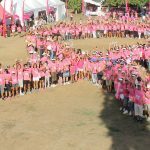 We couldn’t hold The Bali Pink Ribbon Annual Walk without the enthusiastic support of volunteers so if walking isn’t for you why not volunteer instead? There are a number of ways you can volunteer before the event by helping in our Denpasar office, putting together walker packs Nusa Dua, or spreading the word by putting up posters and flyers in your local area. We also need volunteers in the morning to help with registration, marshalling and of course a cheer squad. Tell us how you’d like to help when you volunteer for the BPR Walk. We’re on a mission to raise breast cancer awareness, provide support for patients, and fund life-saving research. Join us as survivor and share your experience and spread the strength. As an event assistant you will manage a small team of volunteers, receive and distribute forms to participants, and general administrative support. We provide everything that is required to run the event including a detailed brief beforehand. You might be a savvy event planner, artist, fundraiser, social media guru or chef! We’d love to hear from you and talk about the ways we could work together to raise funds or spread the breast awareness message. Whether you have a whole day to spare or just a few hours, the Foundation welcomes your contribution – the amount of time you give is up to you.